Thank you for taking the time to visit our web site. 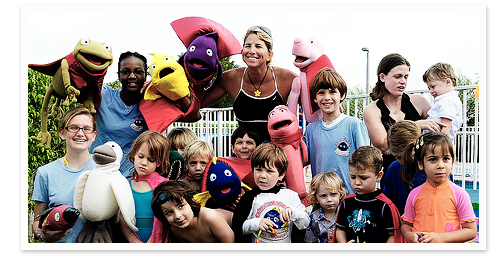 Super Swimmers Foundation feels that helping children with autism to swim is both equally important and necessary. We love what we do and it shows by the amount of high fives and hugs we get to share with these wonderful children and parents on a daily basis. We are overjoyed at the amount of love and support we receive each and every day from families who are AMAZED at what their child with autism is able to accomplish in our Swim with Mr. Blue learn to swim program. Not only are our children with autism swimming in our Learn to Swim with Mr. Blue program but they are also kissing their moms on the cheek for the first time (see Dylan Pita’s story) singing Mr. Blue songs and even talking about swimming with Mr. Blue when they drive onto our premises. We want children with autism to excel in every area of their development and one day we hope to have a Mr. Blue Super Center that will be a one stop service center with ABA therapy, OT, PT speech and language, support groups for parents and much more. Even though autism affects 1 in every 70 children which are staggering numbers Super Swimmers Foundation is committed to providing the best quality swim instruction for our children and families. We LOVE our kids and are very PROUD of ALL of their accomplishments in and around the water. We look forward to starting the first children with autism swim team in Coral Springs and hopefully we can get some of these kids into the Special Olympics. Let’s dream BIG and reach for the stars together, as we work very hard to help children with autism learn to swim and be safe in and around the water.